One of the most powerful sales tools we use at CyberStockroom is the Live Chat Feature on our website. Being a business to business provider (B2B), it is critical for us to communicate directly and effectively with all of our clients to complete the sales cycle. During the Free Trial phase of the service, users often have very specific questions about integrating our service with their business and about our features, pricing and policies. Having a Live Chat assistant available allows us to have in-depth conversations with prospective buyers and to clarify anything that is unclear to our visitors. Live Chat is not only about providing information to the visitor. It also creates a personal experience for the user and makes them feel like there are human beings on the other end of the line who care about them and about their business. There is an enormous benefit to making visitors feel like they can trust the website they are visiting and the assurance that comes with knowing that their questions and concerns will be addressed in a timely and professional manner. We have also discovered that Live Chat is a great place to find out which aspects of our service need to be enhanced or updated and which features our clients are most interested in using. 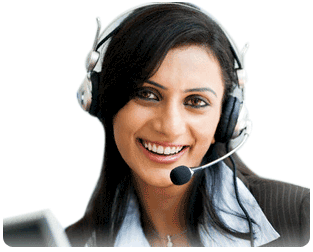 Of course, having Live Chat also means that you need dedicated people for manning the chat lines. It is very important that these people be very familiar with the nitty gritty of the service or product that you are offering so that they will project competence and be a useful resource for your clients. At CyberStockroom we offer our clients E-mail support, Live Chat support and Toll Free Phone support and we have found that all three play a very important role in keeping our clients engaged and interested. Get in touch with us if you have any questions or need any advice in adding Live Chat support to your site, we’d love to hear from you!